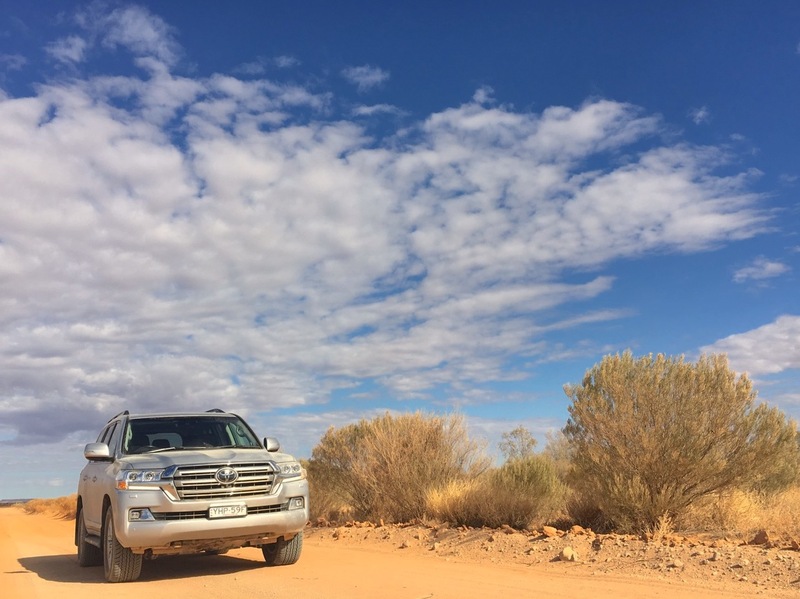 Our Toyota Land Cruiser between Coober Pedy and Oodnadatta in South Australia. Our Land Cruiser is the top-spec Sahara variant. It’s only fitting then that we test drive it in Australia, as such commercial success is the main reason we here at BSCB want to give these nameplates a go to find out what’s behind their worldwide popularity. 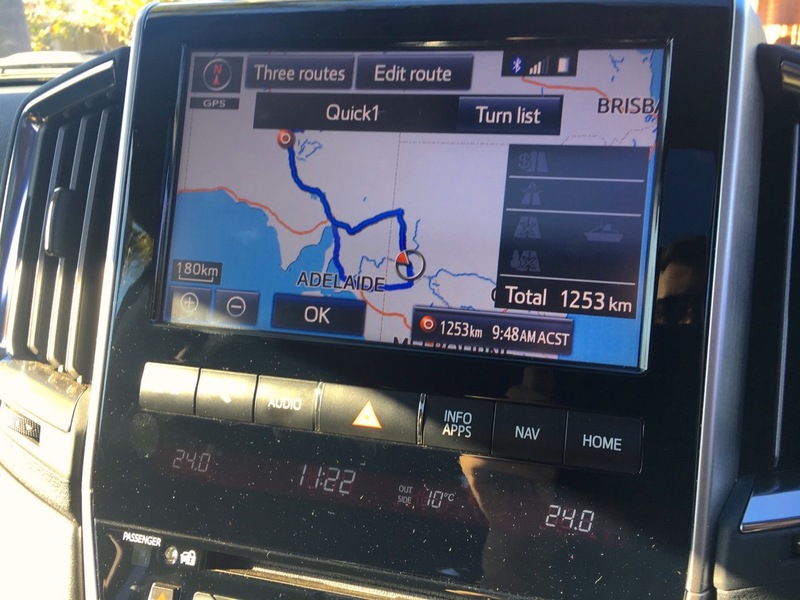 After lending me a C-HR AWD and a Prado Kakadu, Toyota Australia was kind enough to loan me the top-spec Land Cruiser Sahara V8 4.5 T Diesel 4×4 automatic with metallic paint, priced at AUD$129.877 (US$93.900, 80.500€). 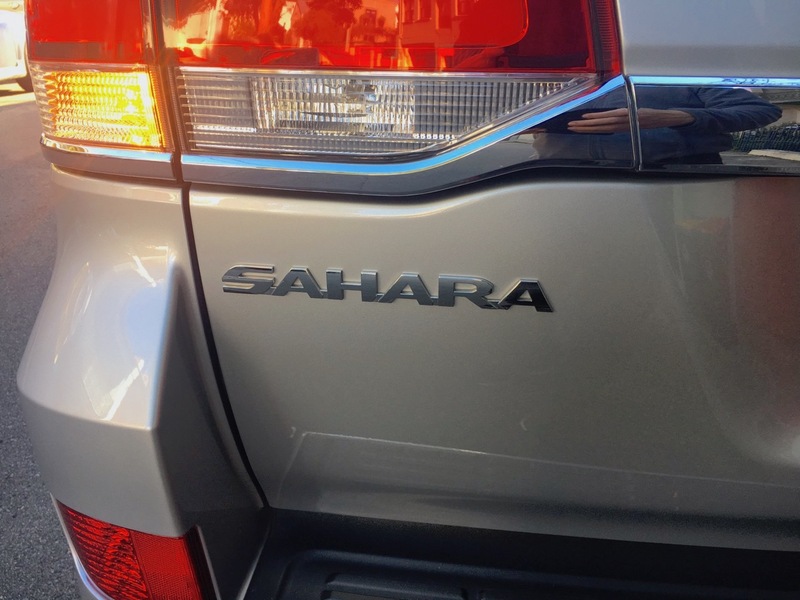 The Land Cruiser Sahara TD is the third heaviest vehicle currently on sale in Australia at 2.750kg below the Nissan Patrol Ti-L (2.832kg) and its twin the Infiniti QX80 (2.783kg). After Lars the Volvo V90, Mikey the Tesla Model X, Natasha the Toyota C-HR and Omar the Toyota Prado, we need a male name starting in P as this is a 4WD truck, which has a masculine gender in my native tongue, French. I can never stray too far from these ingrained perceptions even though I have been living in Australia for over 15 years now… As per the Prado, given the Land Cruiser’s exceptional popularity in the Middle-East, we will go with Pasha. 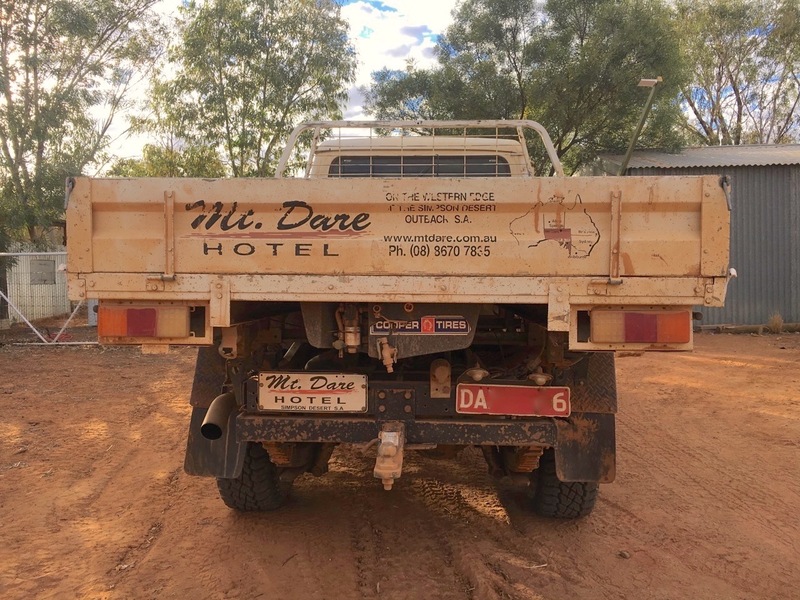 Our itinerary for Part 1 of this adventure covers 2.500 km from Sydney to the isolated Mount Dare Hotel. 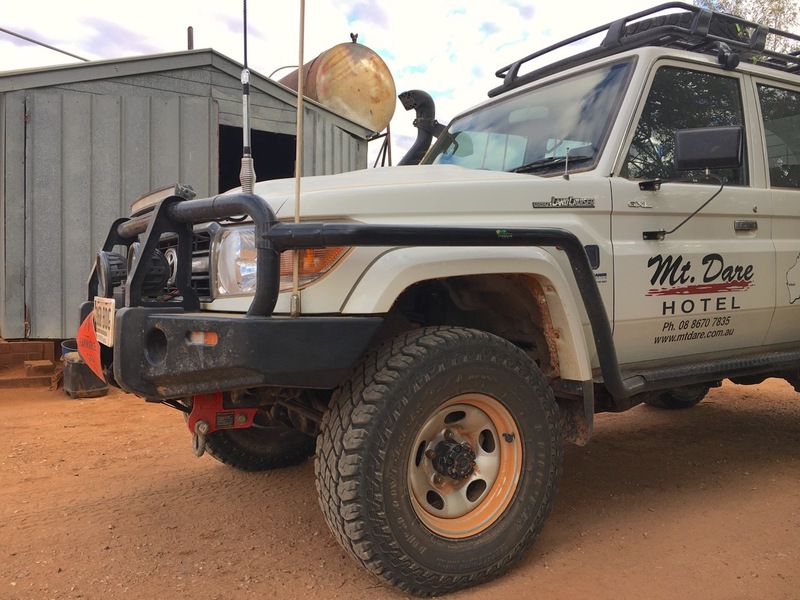 What better idea than taking the aptly named Land Cruiser Sahara into some of the most challenging desert terrain in Australia: crossing the treacherous Simpson Desert, the largest sand dune desert in the world, no less, at 176,500 sq km (68,100 sq mi). When taking the wheel of the Land Cruiser, the odo indicates 11.371 km, this will climb drastically over the next few days. 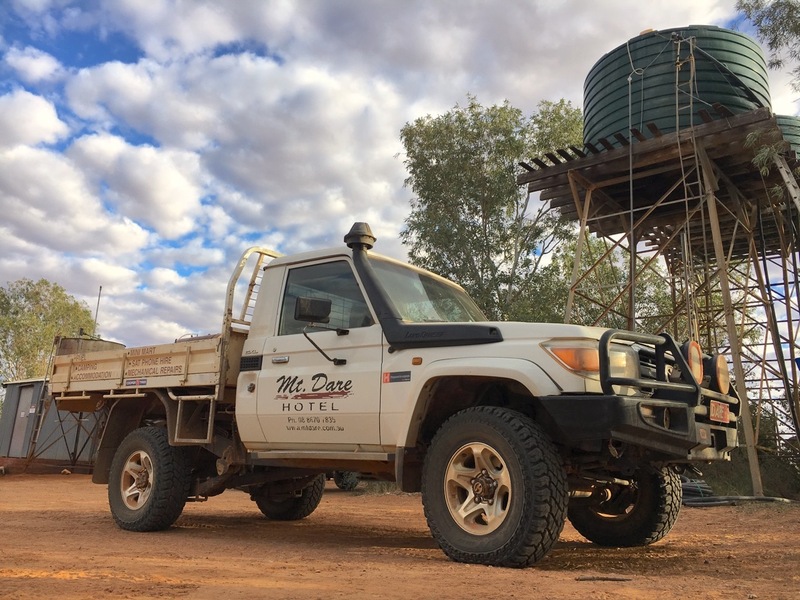 Our first step is to reach the outskirts of the desert in as little time as possible so we have a time buffer and margin of error in case we get stuck in the desert for a few days, as I only have the Land Cruiser for 10 days. 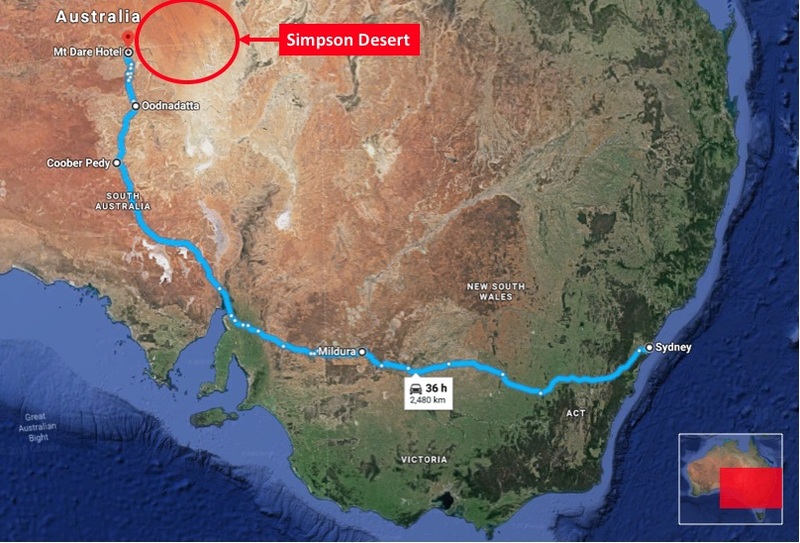 The Simpson Desert contains the world’s longest parallel sand dunes, oriented along a north-south line across over 1000km. They are static and held in position by vegetation. The wind direction means the eastern slope of each dune is steeper and it is therefore advised to cross the desert from west to east. First GPS interactions and a shorter range than expected. In turn that means we need to reach the western end of the Simpson desert in roughly 72 hours from Sydney, and this will be achieved with two stops: one in Mildura 1016km west of Sydney (see map above), and one in Coober Pedy, a further 1080km north east of Mildura, these two days being solely on sealed highways. 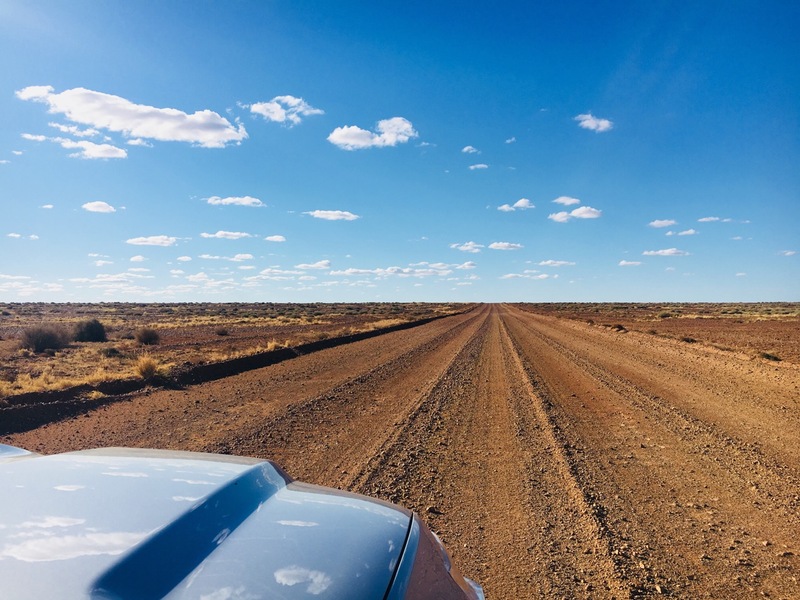 The third day shifts into unsealed tracks just north of Coober Pedy through Oodnadatta, arriving in the remote outpost of Mount Dare, 423km north, where there is accomodation but no phone or internet network. 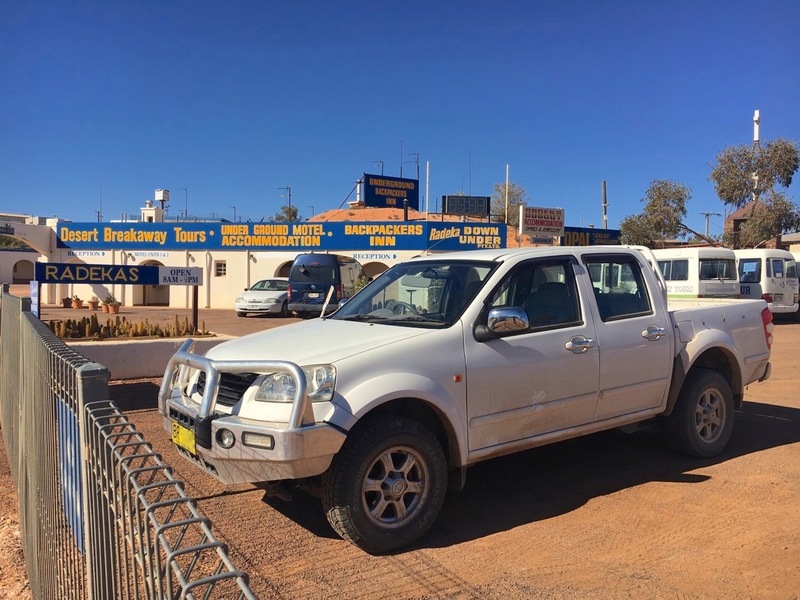 All reservations and online preparation for the trip must therefore be completed by Coober Pedy. 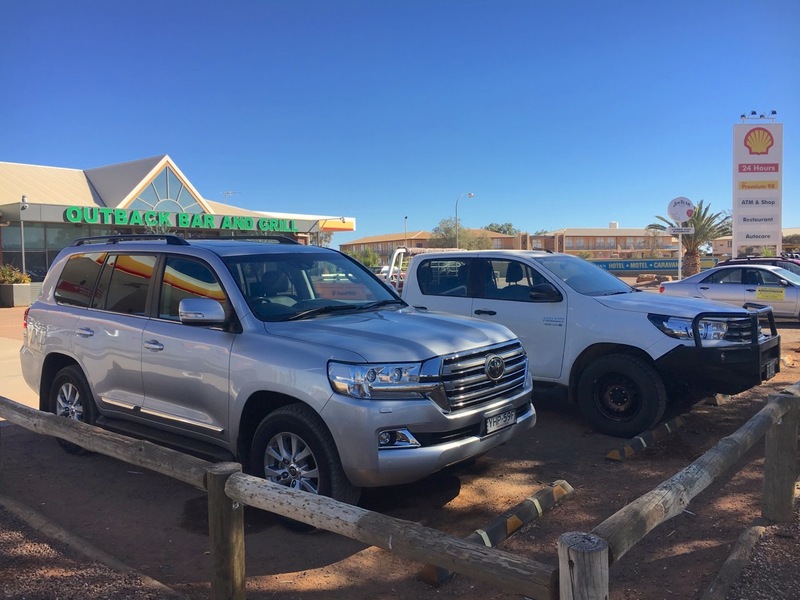 By the time we will have arrived at Mount Dare we will already have over 2500km behind the wheel – 2519 to be exact, a good test of the Land Cruiser’s abilities on “kind” terrain. 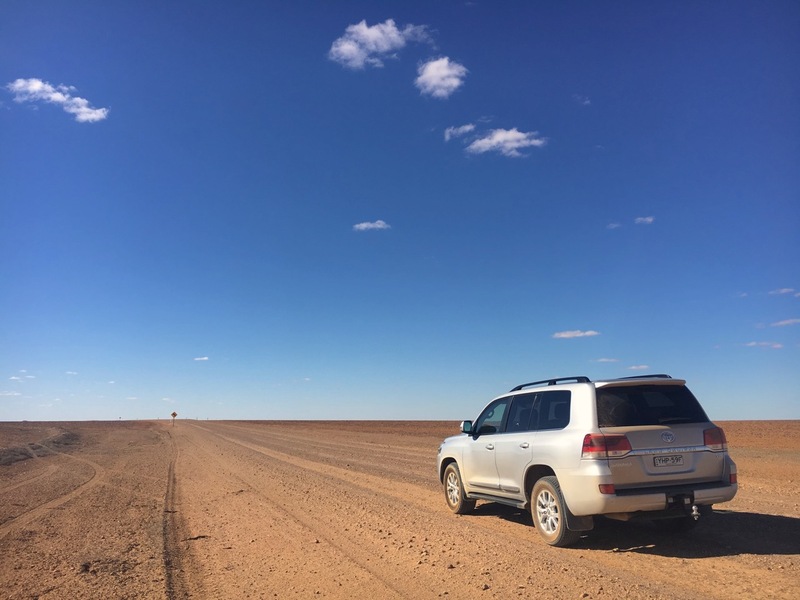 What are my first impressions of the Land Cruiser driving it for over 2000km of highways? Firstly, it is even bigger, heavier and taller than the Prado but is also very manoeuvrable except when it comes to U-turns, which won’t be achieved in one go if you find yourself on a two-way road. The car’s balancing is a little awkward and heavy braking at high speed will send its tail up and nose down quite dramatically, with the result being the headlights focusing on the ground just in front of the car and returning all eye-level vision to darkness. A tad dangerous. Quite appallingly at this price level, the GPS doesn’t recognise the fastest routes, an example being trying to calculate the best way to reach Coober Pedy from Mildura (see illustration above) taking me either through Broken Hill to the north or Adelaide to the south whereas Google Maps had instantly found a fastest alternative following a straight line west. 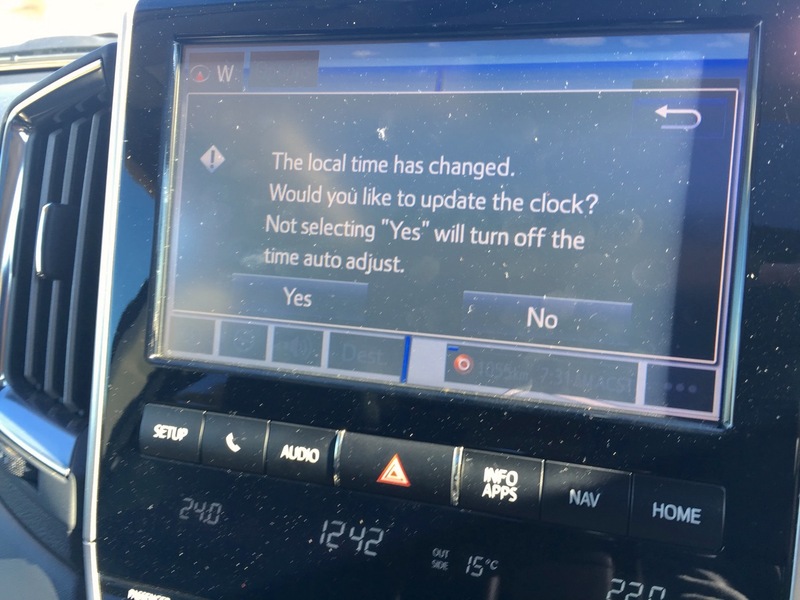 To add insult to injury, the GPS also grossly overestimates arrival times with a 60km/h blanket average regardless of the road (highway or not), telling me I will arrive at Coober Pedy at 9:45 am the next day compared with Google giving me a much more realistic 10:30pm arrival time on the same day. 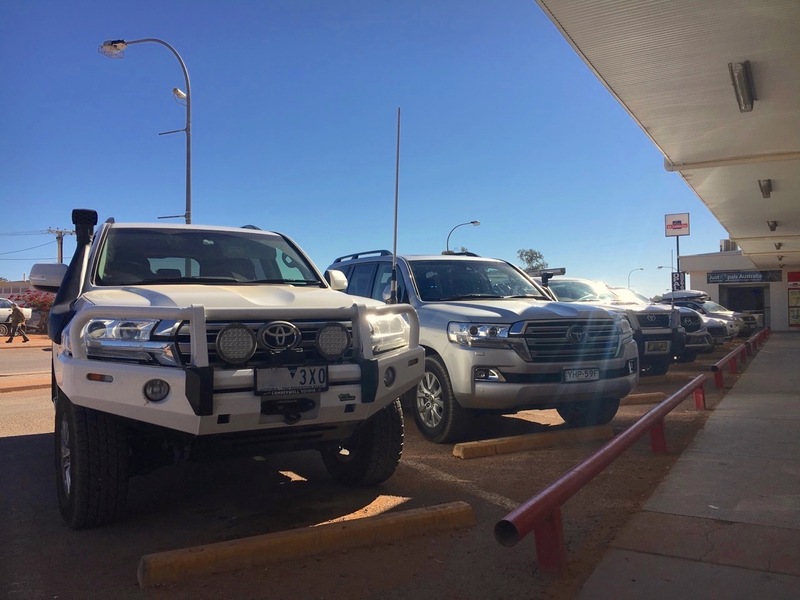 Meeting the locals in Coober Pedy (Part 2) and local Great Wall V-Series. Having said all that, there are also a lot of positives to the Land Cruiser, one being surprisingly strong headlights which, most importantly, cover an incredibly wide area on each side of the road corresponding to up to 5 times the width of the road in certain bare areas. 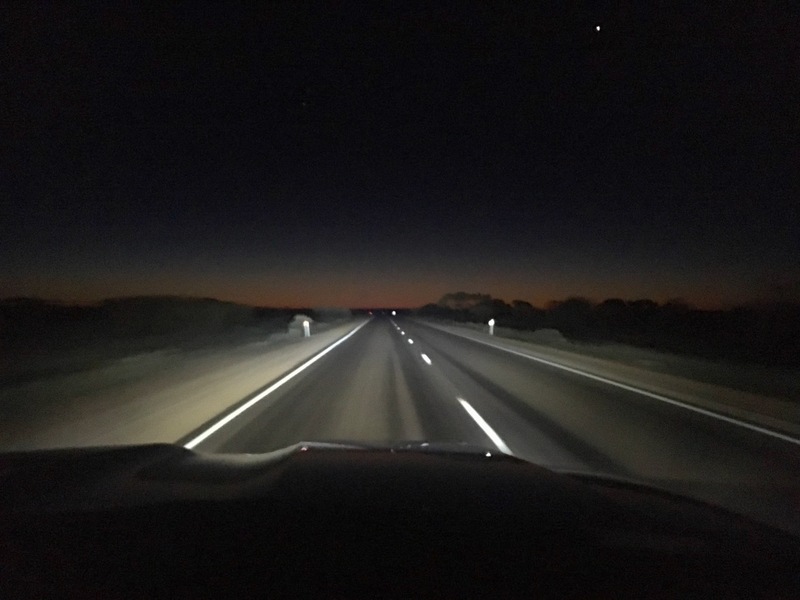 An added bonus for city driving, this feature becomes a game-changer in remote Australia as night driving is a no-go due to the high risk of collision with kangaroos. 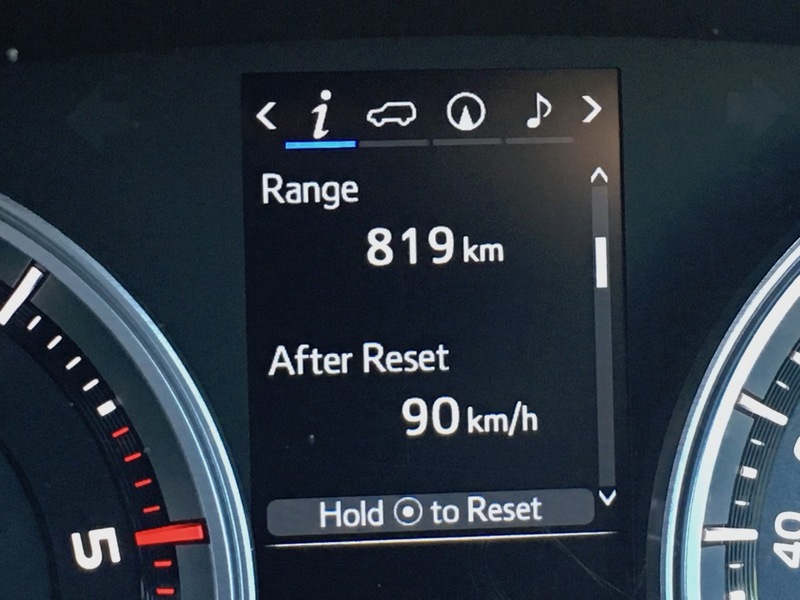 You can check out my – rather stressed – recollection of my first encounters with the wildly unpredictable animals at the wheel of a Haval H8 here. 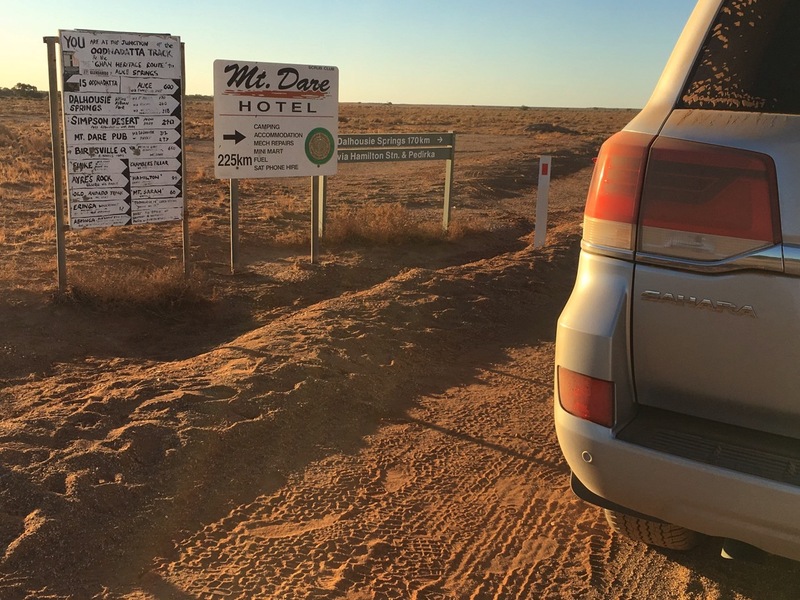 But with the Land Cruiser’s mighty headlights (no high beams required), any kangaroo lurking in the bushes can be spotted, allowing for many more hours of driving and a larger distance covered each day. Just what I needed. Other positive highlights (there will be a complete review at the end of this report as always) are the on-board fridge just like the Prado and the mind-blowing sound system. Pasha (and myself) are now getting a much-needed desert fix. Bring on the adventure! 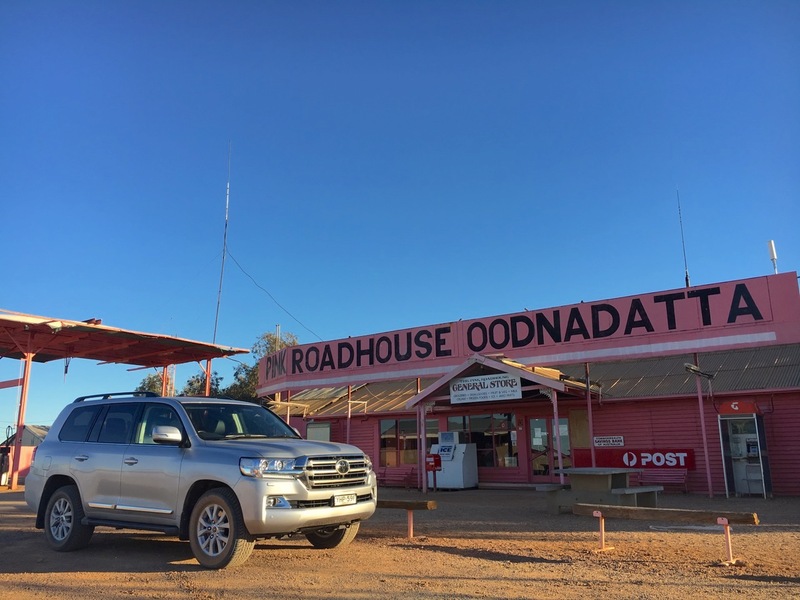 A quick pitstop at the Oodnadatta Pink Roadhouse and arrival in Mount Dare well after dark. Finally I get to have my “desert fix”, something I have come to require every few months to safeguard my sanity. I need these full days of driving in silence or with just music to *think* clearly. In fact, a lot of improvements and ideas that come to fruition on the site – and you will see quite a lot over the next few months – were born in my head during trips like this that allow to pause and see everything in a different light, outside the rush of daily updates. 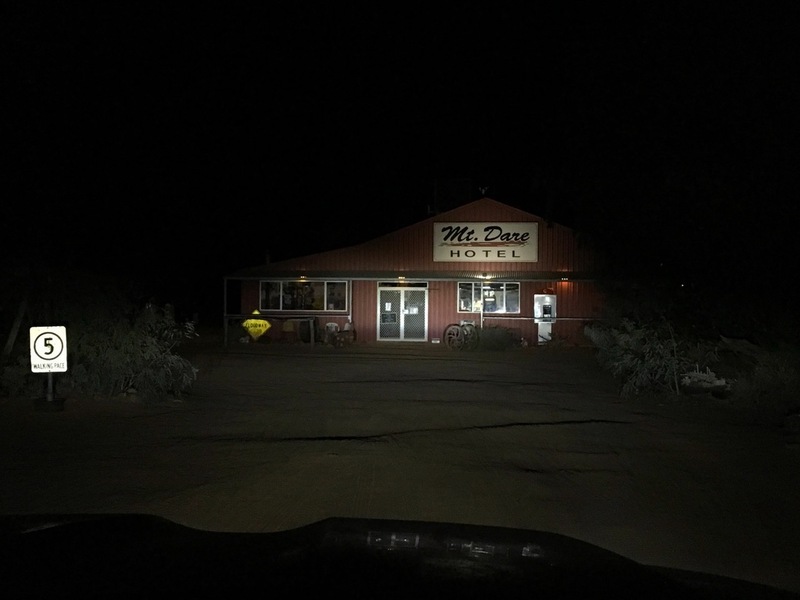 So in a way, not only are these desert adventures fascinating to experience – I recommend them to anyone – but they also allow me to get inspired to improve the site further and create better experiences to share with you. 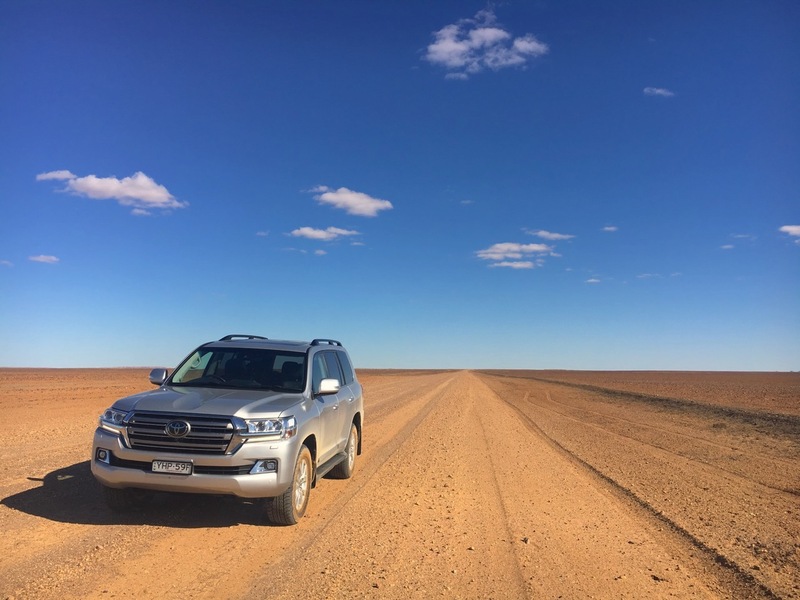 True to full remoteness form, I only cross one private car between Coober Pedy and Oodnadatta (198km): a Land Cruiser 70. The ubiquitousness of that nameplate will become a habit in this part of Australia as we already noted during the Prado test drive. 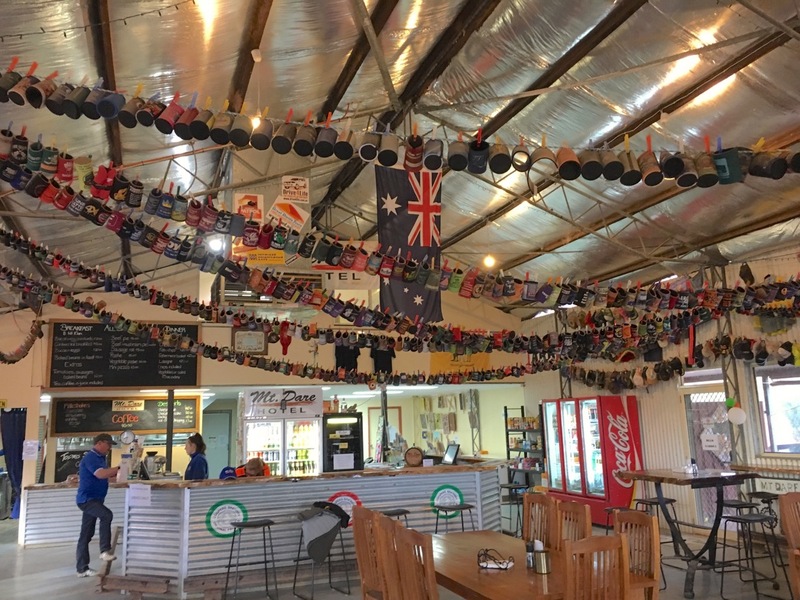 After almost 200km of solitude I reach Oodnadatta for a quick refuelling and picture-taking stop, then it’s onto Mount Dare Hotel, 225km north and absolutely nothing in between. At the Mount Dare Hotel with, understandably, the dearer fuel price of the trip. 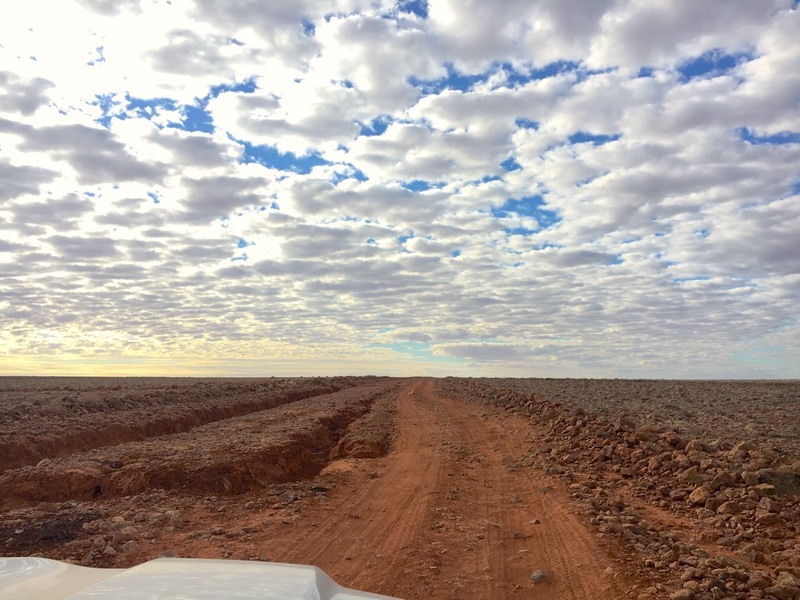 Rutted tracks approaching the Simpson desert. 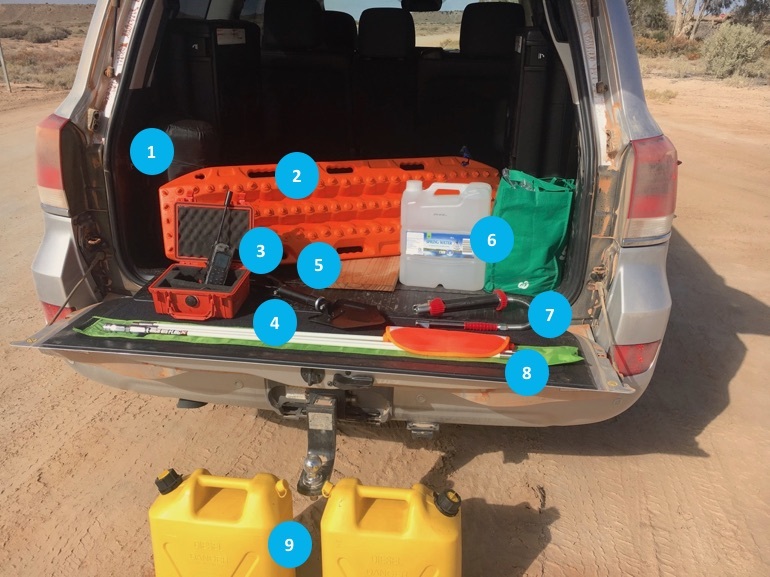 Getting ready for the Simpson desert crossing. Sleeping bag and warm clothes: there is no accomodation in the desert. I slept inside the car as its size allowed it. You should bring complete camping gear if you want to sleep outside. Recovery tracks x2 (mine are Maxtrax) in case you get bogged in the sand. 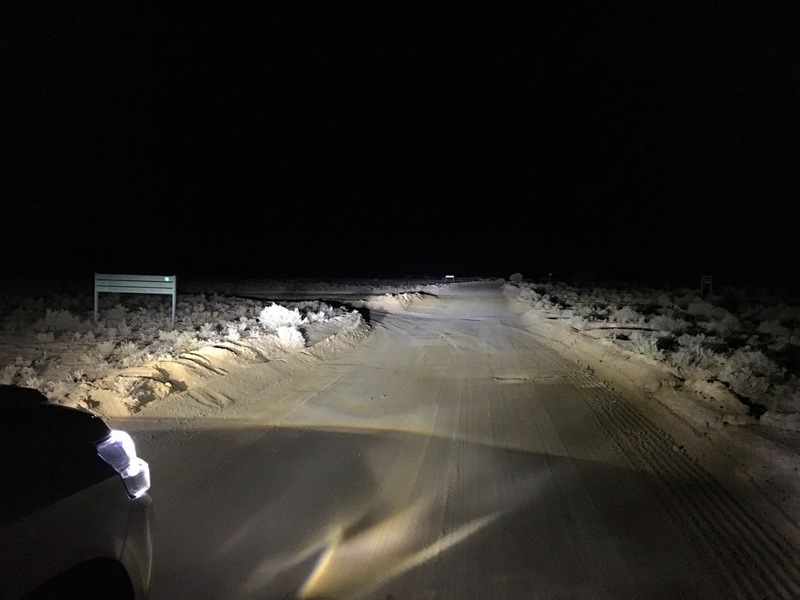 Even experienced drivers do (I did on this trip) as the sand on the track can be very thin and soft, clay between the dunes becomes slippery sludge after rain, and deep ruts at the top of some dunes can impair progress and send the car spinning. Satellite phone. 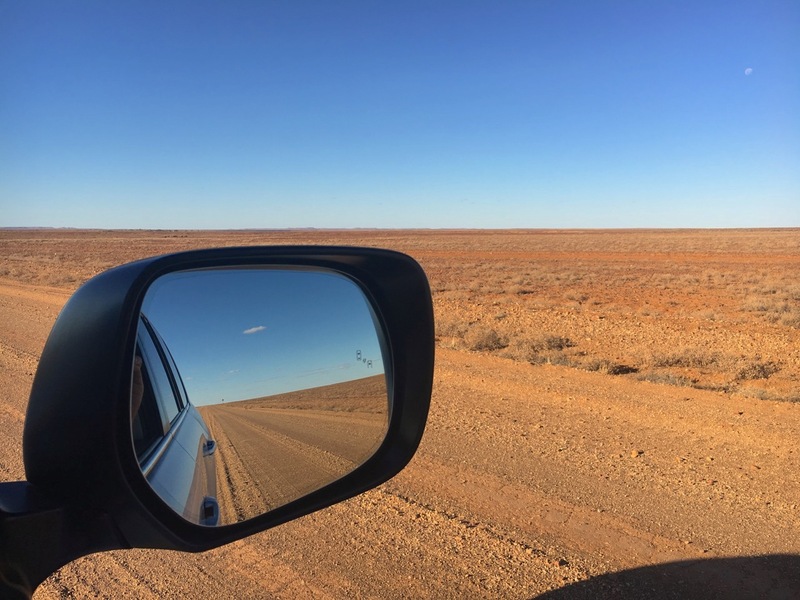 There is no phone nor internet coverage not only in the desert but for hundreds of km prior (since Coober Pedy in fact). In case of emergency this will be your lifeline. 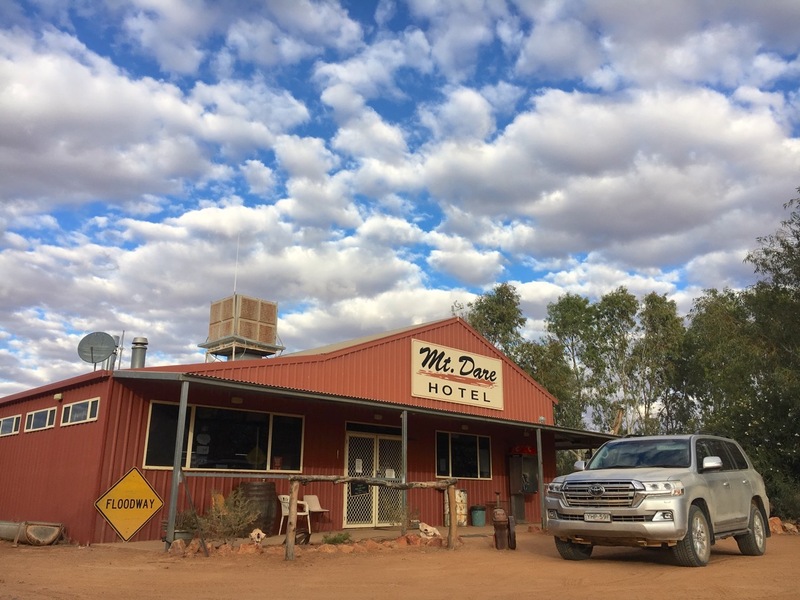 You can rent a satellite phone at Mount Dare hotel and drop it at the Birdsville Tourist Centre or vice-versa. Another option if you own the car you are taking into the desert is to equip it with UHF radio so you can communicate with the cars that are also attempting the crossing. Shovel. In case you get bogged down (I was glad I had one). Plank of wood. In case you blow a tyre and need to jack the car up: you won’t be able to do so on sand so you need wood to secure the jack onto. Plenty of food and water to last many more days than the ones you have scheduled for the crossing – in my case two days, so supplies for at least a week were needed. Tire deflator to lower tire pressure before you get onto the desert proper. You won’t be able to pass any dunes with a high tire pressure and there are no service stations at the entrance of the desert. Ideally this should also be a tire inflator to give you total independence, mine wasn’t pumped up prior (a mistake). Also don’t forget spare tyres. Two is advised. Fluorescent 3.5m-high Sand Flag. This is mandatory in the Simpson desert. Why? Because there is only a single lane of track and climbing dunes requires some speed. If another car comes up at speed on the other side of the dune you will hit each other full frontal. 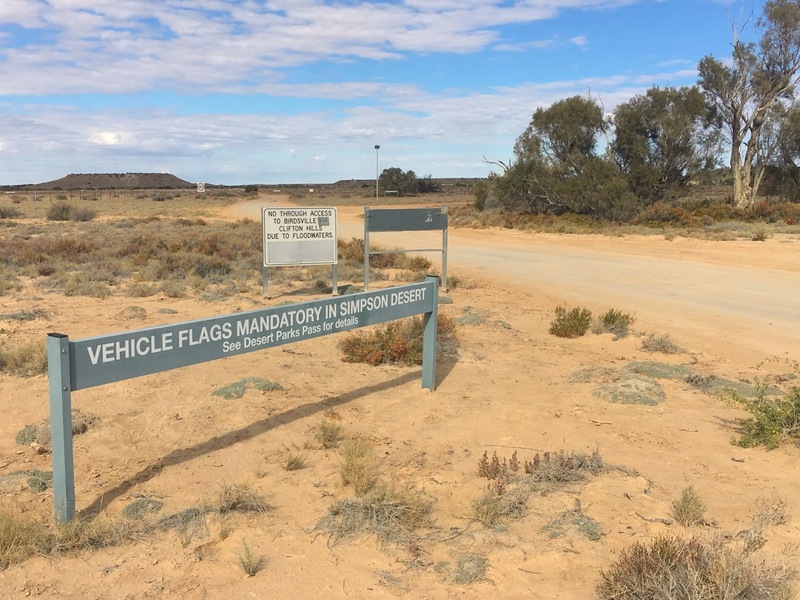 A flag, mounted on the bull/roo bar, front or roof rack of the vehicle enables you to see that car in advance many dunes away or at the very least in time to slow down and hopefully avoid a collision on any given dune. Additional fuel in case you get stranded and use more fuel than you thought necessary. 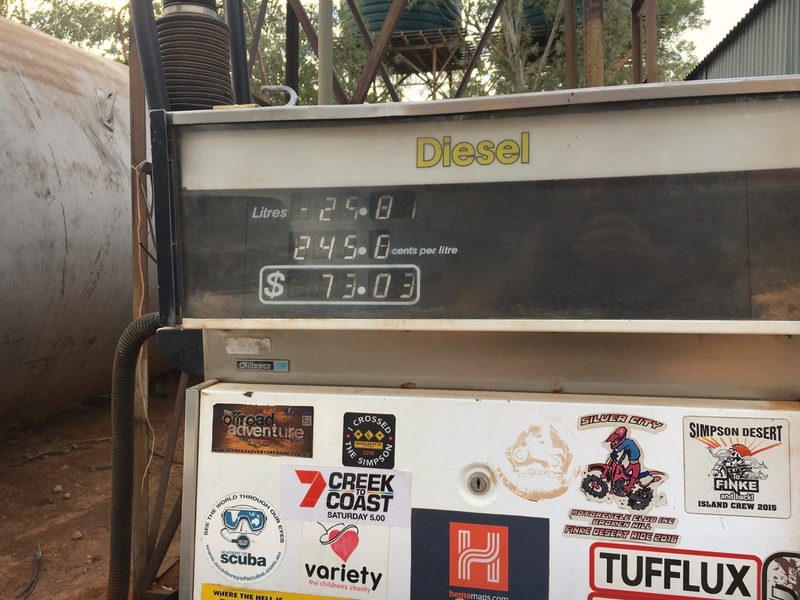 A rule of thumb in the Australian Outback is to never leave any settlement offering fuel – regardless of the price – without a full tank and two full jerrycans. In my case that is 50L (13 gallons) of additional fuel on top of the 100+L (25+gal) in the tank. Let’s do this! 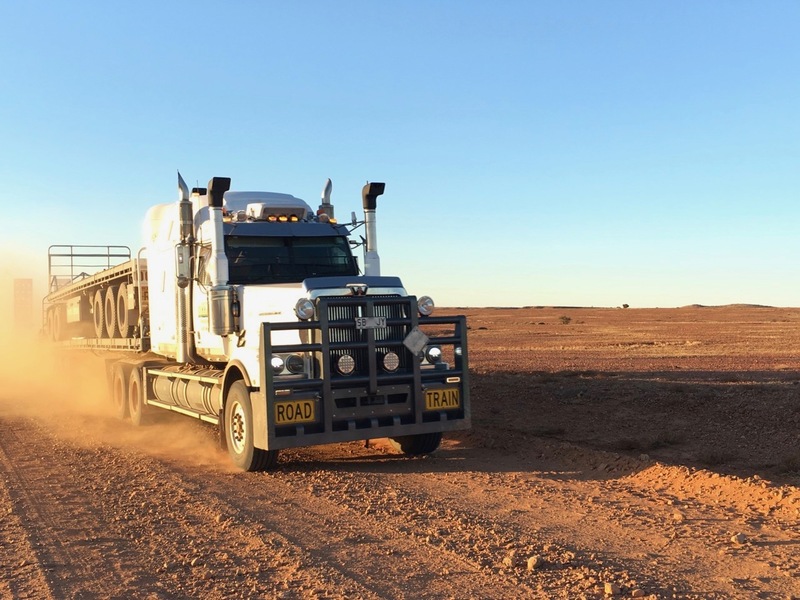 Stay tuned for our crossing of the mighty Simpson Desert in the next update. The only part of the crossing that is touchy for tyres is the rocky start from Mount Dare to Dalhousie Springs. The rest is fine as mostly sandy.